Having heard the rumor that Fishman had been spotted wearing a T-shirt by an obscure-ish (but real) band called “The Residents” and having seen a screen-shot of a text with him and someone else alluding to the fact last night's cover would be an obscure album from 1981, I knew it could be a remote possibility, being Phish and all, but it still seemed a bit far-fetched. 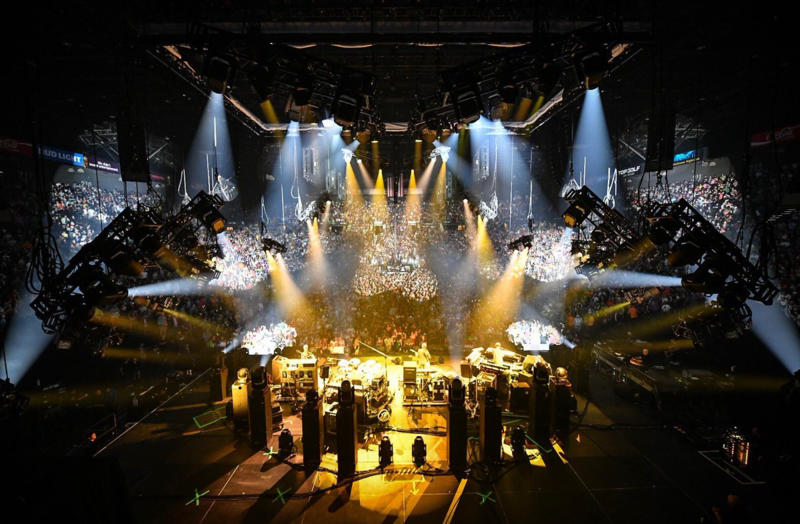 So many other (slightly) more plausible rumors were being floated and when the anticipation had reached an absolute fever pitch and doors opened we got our first glimpses of the Phishbill. The album would be i rokk by the band Kasvot Växt. An aside here - I was at the Wingsuit Halloween show when speculation was super high for The Allman Brothers Band's Eat A Peach, which I was mega excited about. I sat in my seat and read the Phishbill and immediately started laughing. I don’t know if it’s intentional, but the Phishbills are written in the most bizarre, stilted way where everything about it, especially the quotes from the band, made it seem like a total joke. Which is the exact same vibe that I got from THIS Phishbill, making it more likely to me that it may in fact be true. Also, I was sober this time around, and reading the Phishbill a few times before the show started, it did seem pretty plausible?? Anyway, speculation and rumors and much internet sleuthing were all happening in a major way, but it all finally came to an end as the lights went down and we went into the first “extremely uneven” set of the night. I love a fast opener like ‘“Buried Alive” (nice call Russ); it’s got the ability to whip the crowd into a frenzy right from the get-go. "Buried" has always conveyed this dissonant sense of chaotic unpredictability to me, and this version didn’t disappoint.